Prime Doleshwar Sporting Club, Brothers Union and Khelaghar Samaj Kallyan Samity have sealed victory on the second day of Round 4 of Walton Dhaka Premier Division League 2018-19. Prime Doleshwar Sporting Club beat Gazi Group Cricketers by 5 wickets at SBNCS thanks to fifer from Farhad Reza and century from Saif Hasan. 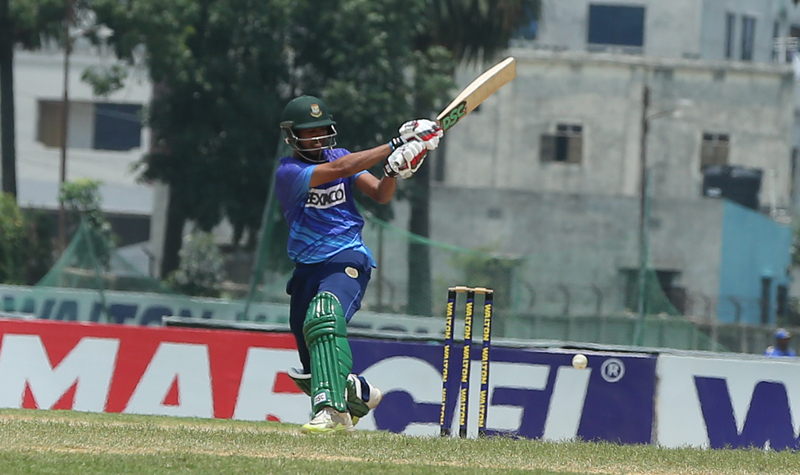 Khelaghar clinched an 27-run win over Bangladesh Krira Shikkha Protisthan (BKSP). Defending 212, Khelaghar restricted BKSP for 185 for 9 in 50 overs. Brothers Union registered their second win of the season by beating Uttara Sporting Club 8 wickets chasing 265 with 10 balls in hand. Result : Khelaghar Samaj Kallyan Samity won by 27 runs. Result : Brothers Union won by 8 wickets.